Pope Francis has today nominated Monsignor Jean Laffitte as the new Prelate of the Sovereign Order of Malta. Born in France, at Oloron-Sainte-Marie in 1952, Monsignor Laffitte graduated in Political Science at the University of Toulouse in 1973. He subsequently read philosophy and theology at the Pontifical Gregorian University in Rome, and moral theology at the John Paul II Pontifical Institute. He was ordained to the priesthood in Autun, France, in 1989. 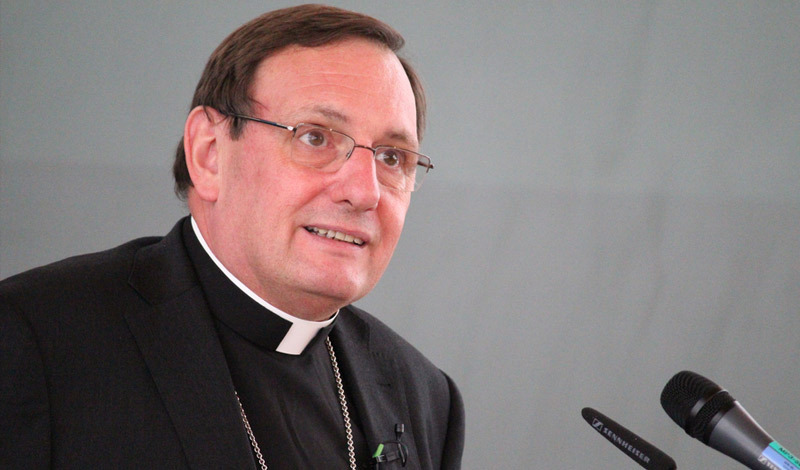 Titular Bishop of Entrevaux (Alpes-de-Haute-Provence), he has been secretary of the Pontifical Council for the Family since 2009. Monsignor Laffitte succeeds Monsignor Angelo Acerbi, who was nominated Prelate of the Order of Malta by Pope John Paul II in 2001. The Prelate is the religious superior of the clergy of the Order with priestly functions. He ensures that the religious and priestly life of the Chaplains and their apostolate are followed according to the discipline and spirit of the Order. He supports the Grand Master and the Grand Commander in supervising the religious life and devotion of the members of the Order of Malta and in any aspect related to the spiritual nature of the Order’s initiatives. The Prelate is appointed by the Supreme Pontiff, who chooses from among three candidates presented by the Grand Master, with the deciding vote of the Sovereign Council. The Prelate assists the Cardinalis Patronus in the exercise of his office with the Order.